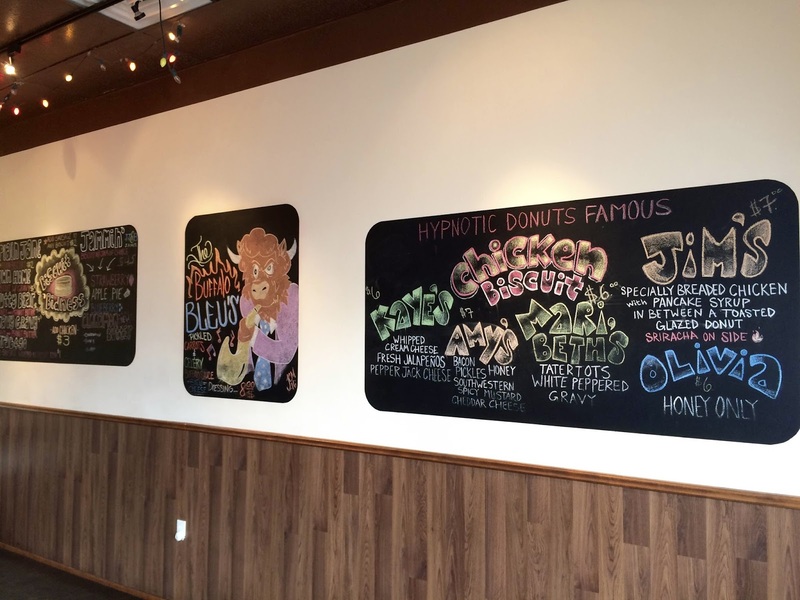 Hypnotic Donuts was established in 2010 with a mission statement to “create the ultimate donut experience and have fun along the way” and they most certainly have. 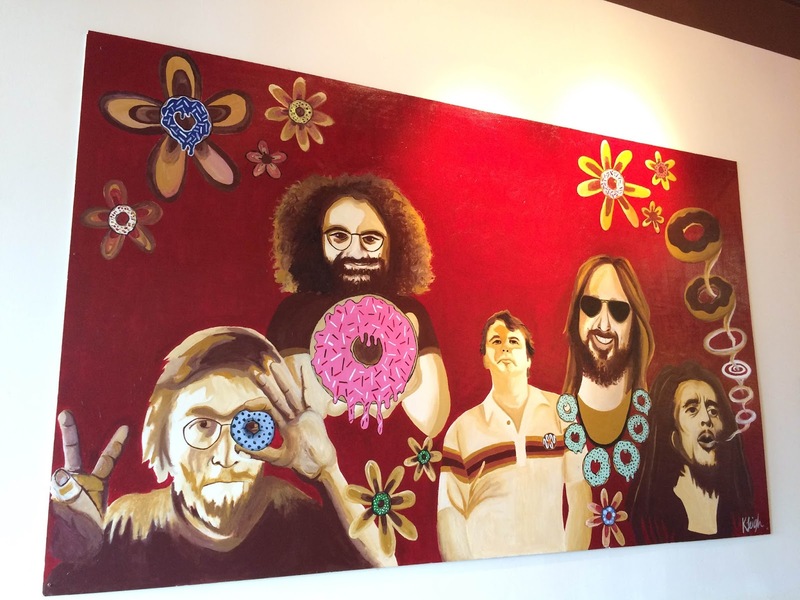 Since 2010 it has become the go to place for donuts in Dallas and set the stage for other creative donut shops. Today, they have more competition, but they continue to have fun and go beyond its boundaries. Besides being famous for their donuts they are also famous for their chicken biscuits. Yes Hypnotic Donuts sells chicken biscuits AND donuts and they are well received for both products. And lets be honest whats better than chicken biscuits and donuts in one place? 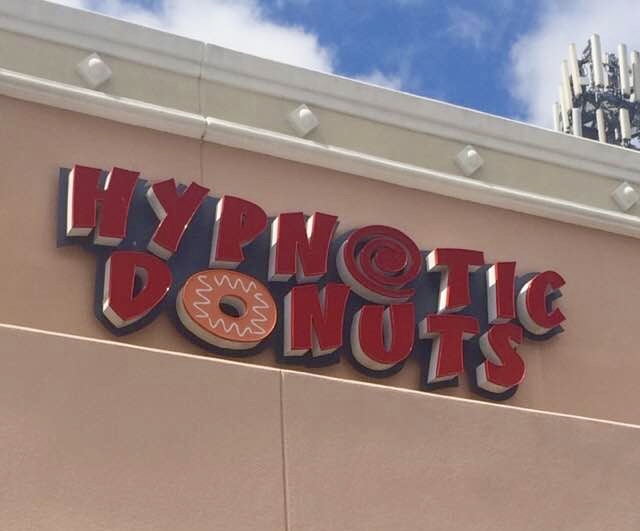 With their success Hypnotic Donuts created a second location in Denton, Texas in 2014 and recently opened Hypnotic Emporium, an ice cream, candy, soda shop next door to the original Hypnotic Donuts. 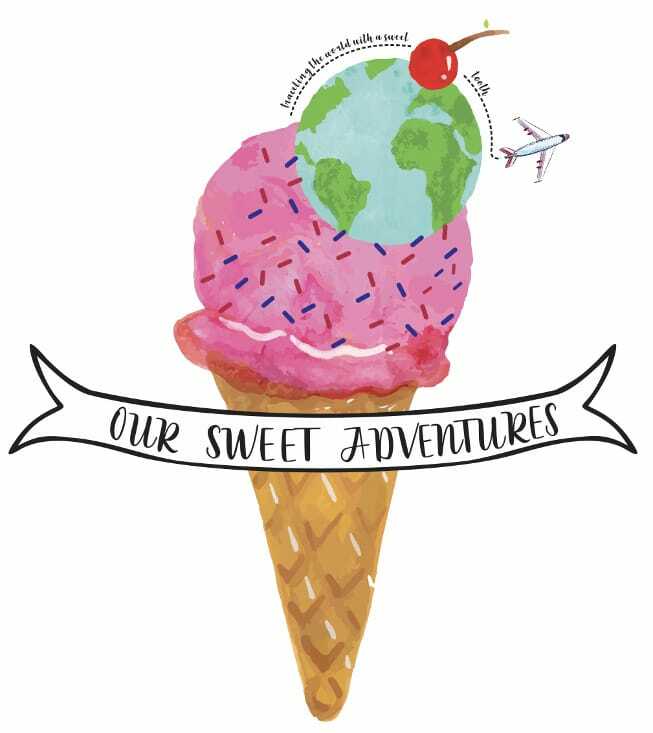 Guests can find it all at Hypnotic Donuts from crazy, creative donuts, classic donuts, vegan donuts, cake donuts, chicken biscuit and anything in between. Open everyday from as early as 6:30 in the morning (Monday through Friday) to as late as 2 in the afternoon (only on Sundays). Coffee lovers can enjoy some of Dallas’ finest local coffee from Oak Cliff Coffee Roasters. 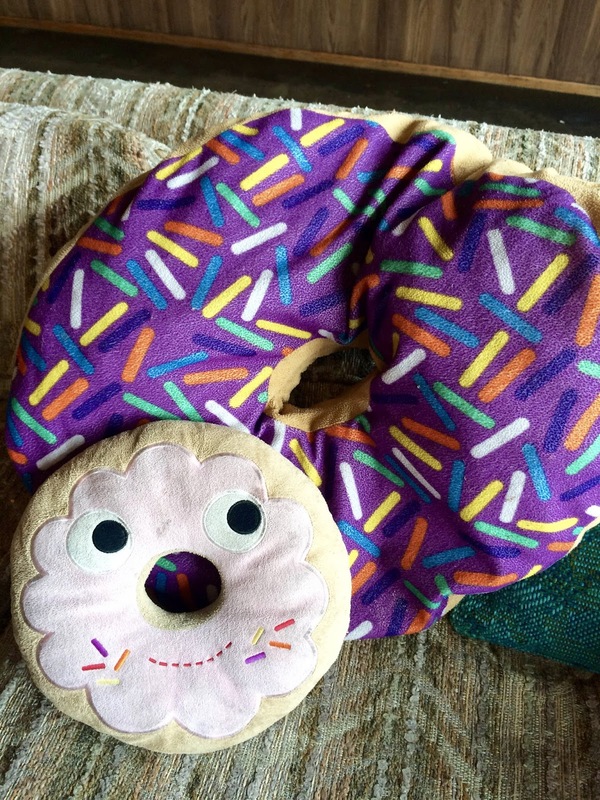 Hand made donuts served fresh and made daily. All donuts are trans fat free. The yeast donuts are beautifully made, very light and made with a blend of different flours. The cake donuts are crisp on the outside and soft in the inside. Well made donuts all around. A long john filled with coconut cream, vanilla bean icing on top with toasted coconut.This was a yeast donut and was very light. 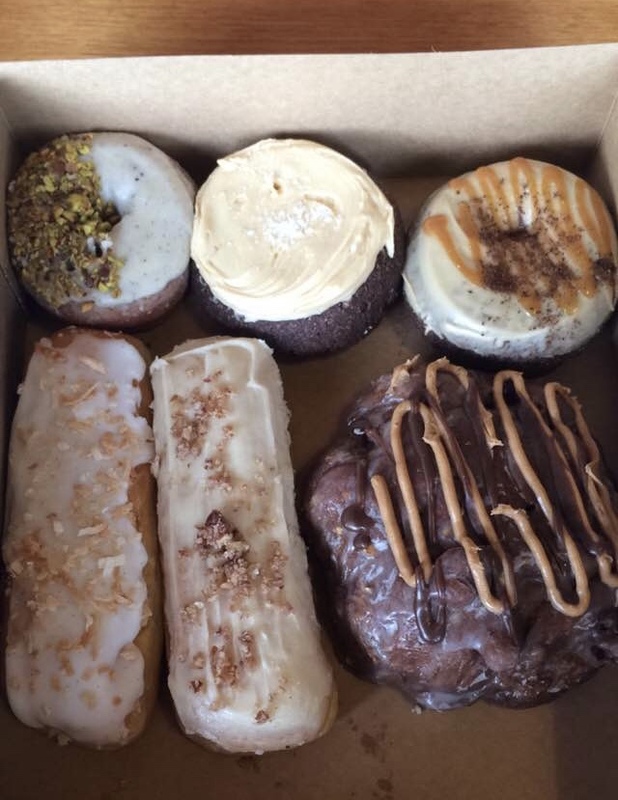 The coconut cream was silky smooth, but the coconut flavor got lost in the cream and donut. The texture and sweetness of this donut was spot on, but as a coconut lover I wanted the flavor to be more dominant. Long john filled with banana pudding cream with vanilla bourbon icing and candied pecans. It is a shame this donut is not always listed on the menu because it was by far the best of them all! Probably one of the best donuts I have ever had. Every flavor noted in the description was well executed. The banana pudding cream was luscious and tasted like sweet, fresh bananas. The bourbon icing balanced the sweetness from the banana pudding while still providing its bold caramel and vanilla flavor. The candied pecans brought a lovely crunchy texture and rounded out this donuts flavor profile with some nuttiness. Overall this donut was surprisingly, light, never too sweet and perfectly balanced with texture and flavor. Vanilla cake donut with a brown butter glaze and coarse pistachios on half the donut. The cake donut is not as light as the yeast donut, but nevertheless it was still not dense by any means. Great texture and natural sweetness in the dough. This donut had a thin layer of brown butter icing that tasted rich and had a beautiful flavor of caramel-nuttiness. 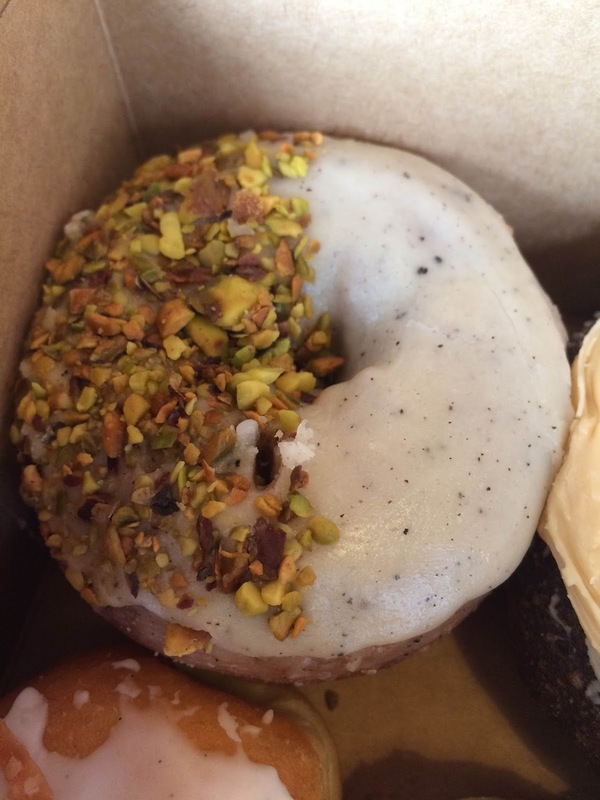 The coarse pistachio enhanced the nuttiness of the donut and added a great contrast of texture to the soft donut. 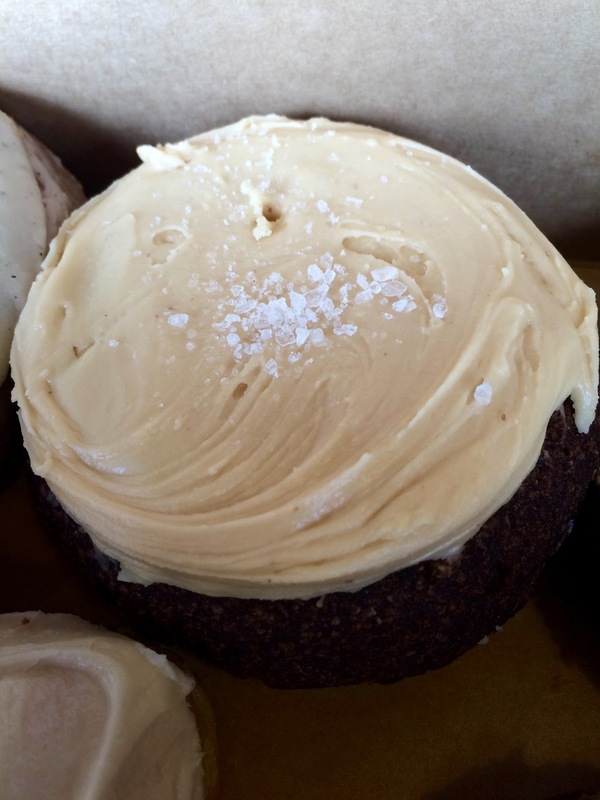 Chocolate cake donut with a salted caramel icing and sea salt sprinkled on top. Rich chocolate cake donut with an even richer icing. The salted caramel icing was very sweet and profound at first but then the saltiness kicks in and balances the flavors out nicely. Chocolate cake donut with coffee icing, coffee grounds and caramel sauce drizzled on top. Another rich donut with bold flavors. A very thin layer of coffee icing that was more sweet than bold, but the espresso grounds helped bring out the bold coffee flavor. 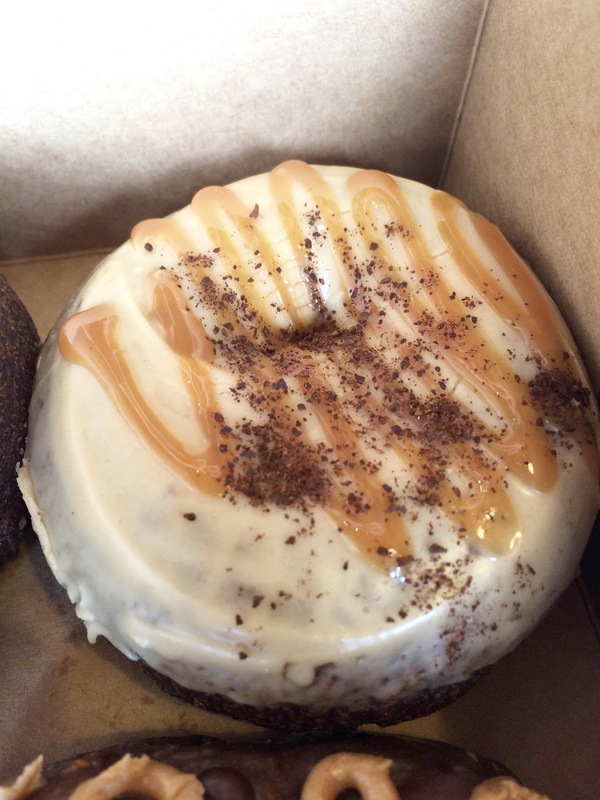 The house-made caramel sauce sweetened the donut, but never overpowered the presence of the coffee. Overall a very good donut. 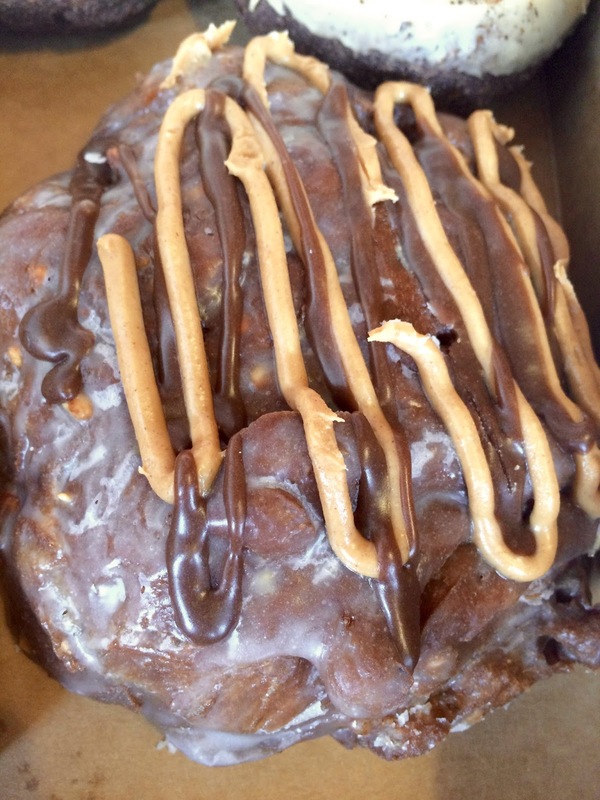 A chocolate, banana, peanut fritter with peanut butter and chocolate drizzled on top. They suggested this donut because it was a fan favorite and we were not surprised after our first bite because this was fantastic! Crunchy on the outside and soft in the inside – great texture all around. Every flavor of chocolate, banana and peanut came through in every bite. If there was not enough flavor in the dough already then the peanut butter and chocolate drizzle surely made its statement! This donut was extremely rich, and loaded with calories and sugar, but worth every bite.